I have been a pretty bad blogger later and am quite behind on sharing projects, photos, and life updates! So I’m back in the game this week and catching up — and I’m so happy to finally be able to post some of the picture from our trip to Marfa, the last leg of our West Texas Adventure after a few days in Austin and a stay in Big Bend National Park. This was by far my favorite part of the trip, partly because there was so much anticipation in planning it. 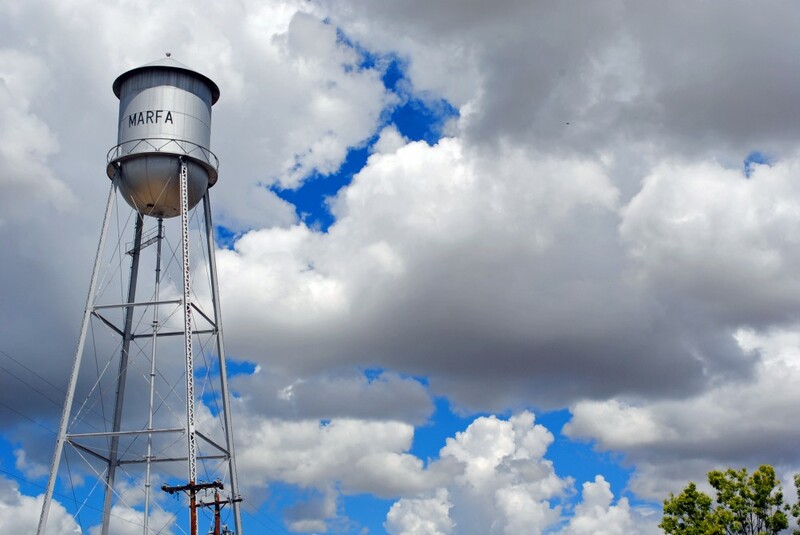 For those of you that haven’t heard about Marfa, let me explain a little bit about this town: it’s a quirky little community in the middle of nowhere known for its minimalist art, bohemian vibe, and eclectic food. 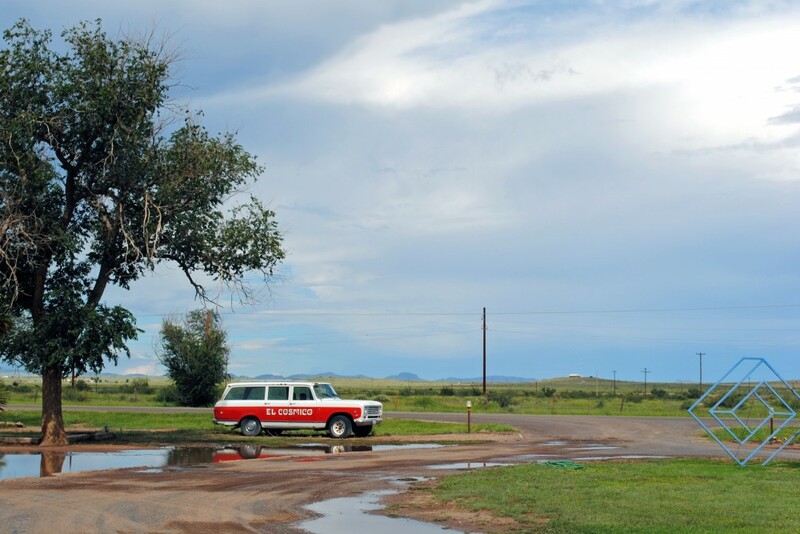 When we decided to add Marfa to our itinerary, I knew exactly where I wanted to stay: El Cosmico for some glamping! 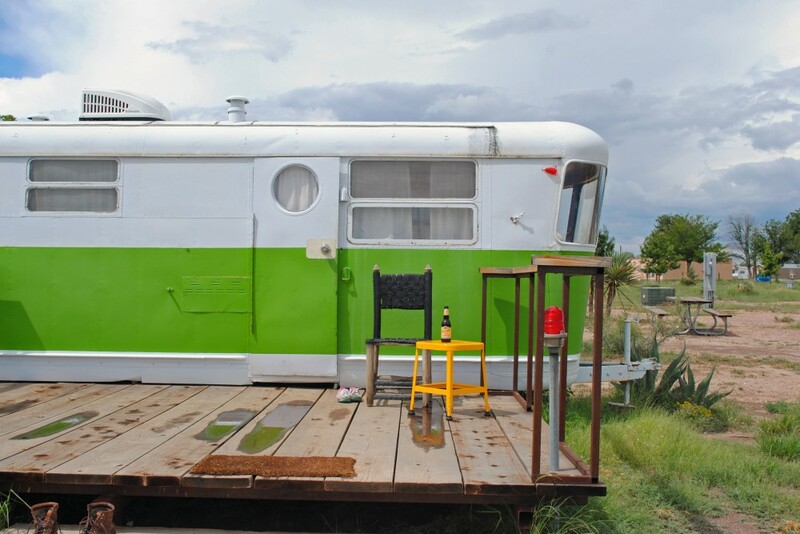 We stayed in a restored vintage lime green camper, complete with a cute little front porch, air conditioning (yay!) and amazing outdoor shower. 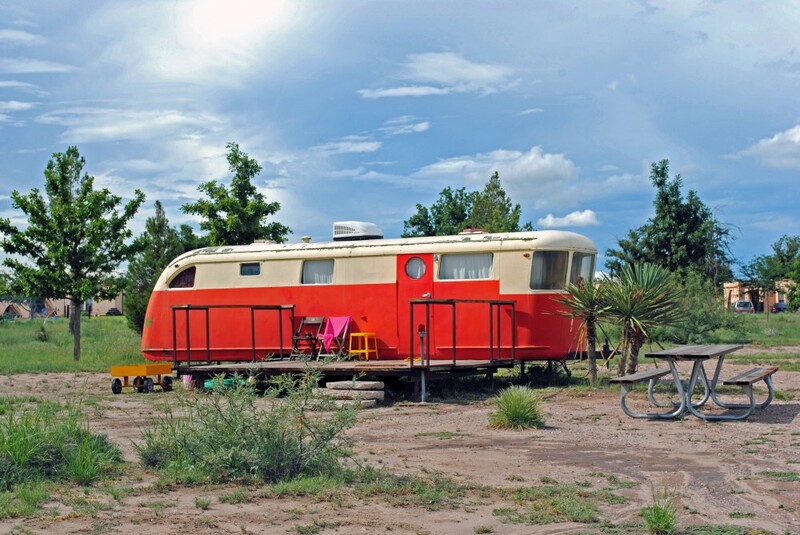 The whole El Cosmico site is a feast for the eyes, I had so much fun taking pictures of all of the vintage trailers, teepees, and yurts that make up the complex. The communal spaces at the site were also a highlight, after the sun went down we joined other guests for cocktails in the hammock grove where a visiting band played live music under strung lights and the stars. I mean, does that sound magical or what? 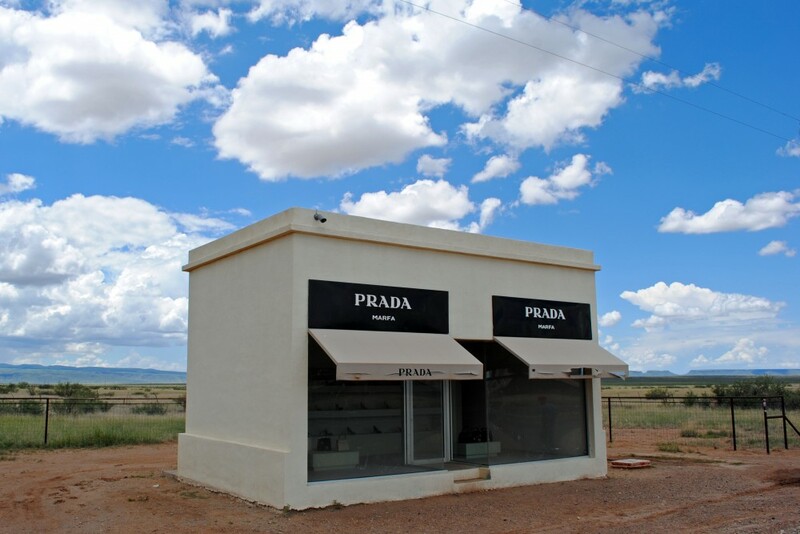 Another must-see that we tackled on our exploration of Marfa was checking out the art installation, Prada Marfa. 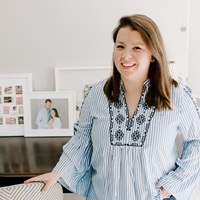 Having admired Gray Malin’s photos of the site, I was so excited to see it in person — and it surpassed my expectations upon arriving. I think one of the most interesting things about the site, is that it genuinely confuses people that don’t know the context and story of the installation. When we were standing across the highway from the store, a passerby in a pickup truck slowed down as he drove past it, and ended up turning around to get out of the car and take a look. He looked at my husband and I and said “well that’s something else, isn’t it?” — I think he was right, it really was something else! 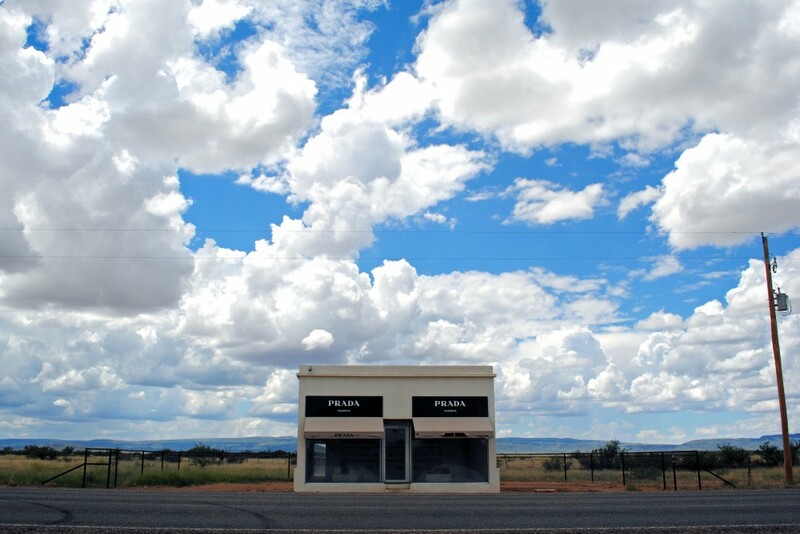 It turns out that we arrived in Marfa on a Tuesday, and most shops and restaurants close down mid-week as it’s a weekend-tourist destination. So while we didn’t get to hit up a few of the spots on my list (like Garza Marfa and Cast + Crew), we did enjoy a few of the local favorites. We stopped for lunch at Comida Futura (owned by the same folks that run Food Shark — made famous by Beyonce’s tumblr), and the food was amazing. 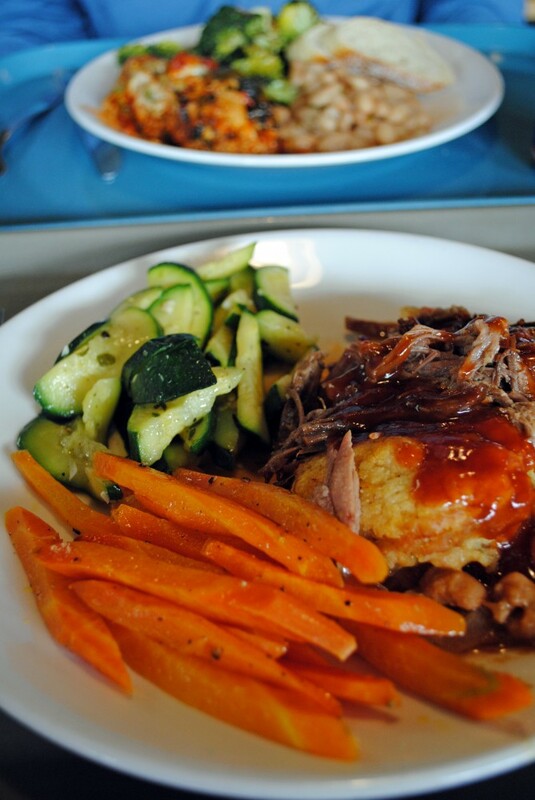 I had the brisket plate with a baked bean and corn bread pudding and it was out of this world. For dinner we visited Jett’s Grill on the patio of the famous Hotel Paisano. 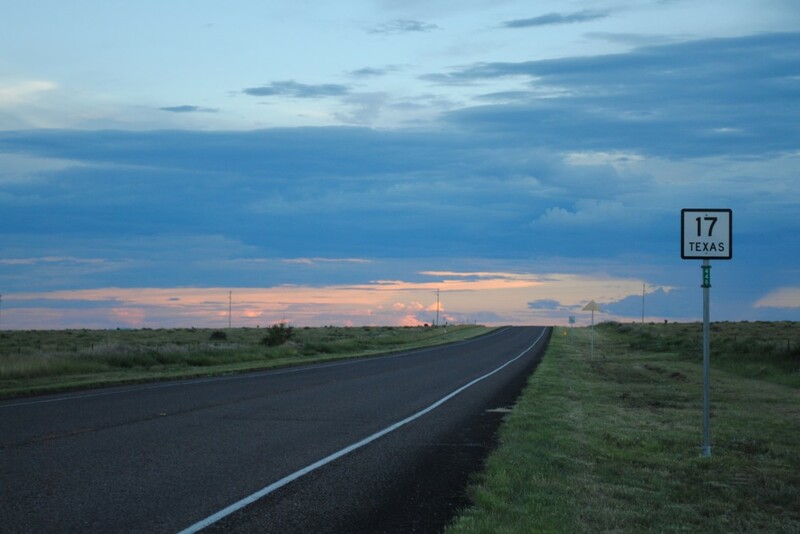 I kept saying as we left Marfa that it was such a magical place, I think I used the word magic approximately 8 times on the drive back to Austin — and frankly, the drive it self was also magical — we left super early in the morning and saw the sunrise over West Texas as we drove out of town. The perfect end to a perfect trip! West Texas Adventure: Big Bend Life Lately. 6 Responses to "West Texas Adventure: Marfa." I’ll right away take hold of your rss feed as I can not to find your e-mail subscription hyperlink or e-newsletter service. Oh my goodness, I love all of your pictures! 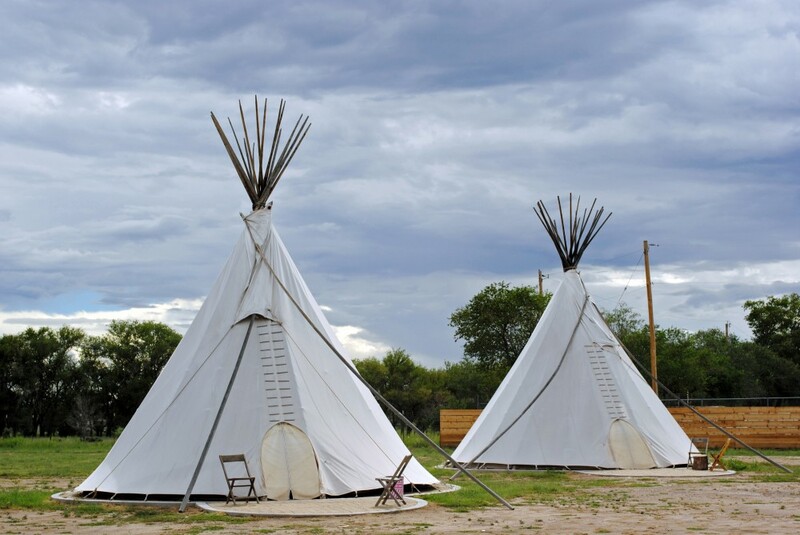 I visited Marfa last year and stayed at the Thunderbird, can’t wait to go back! Ugh, your post makes me want to go back!! 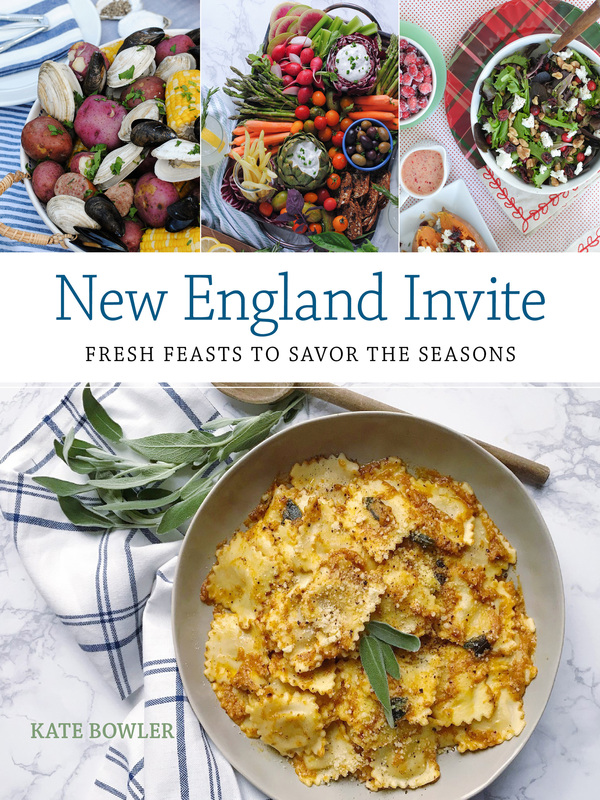 How fun does this look?? See a TX trip in my future! !